Specialised office removal services are a proven way to make your office relocation swifter and more manageable for you and your staff. When you choose to have your moving requirements handled professionally by us, you get certain assurances and a guarantee for timely completion of the entire project. We have the right type of service for you, as we provide the most attentive and efficient office removals in Grahame Park. So what can we actually do to make your office shift smooth and hassle-free? Well, for starters, we will organise and handle every stage of the relocation process from start to end, so you have fewer things to worry about. Office removals are usually a hectic time for owners and managers, but we are here to help in every way we can. Prep work is essential for complex projects like office relocations and we are quite aware of this. In order to ensure safe handling and damage-free transportation our movers will take care of packing, securing and loading of your office contents. Proper packing of items and equipment cancels out the risk of damage during handling and transportation, which is just what customers require. Packing will be done using high quality, durable packing and wrapping materials. As we also need to ensure everything is accounted for, and nothing goes missing along the way, our movers can also label and list your office contents and items and keep track of every item during the removal. Listing and labelling of items being moved is especially beneficial when you are shifting the contents of multiple or identical offices, and makes unpacking and distribution much easier and more efficient. In terms of transportation, we have the required technical capacity and will be able to haul any load to almost any location, as we own a large number of transport vehicles with different load capacity. Having the right van for the job means we can be extra flexible and efficient, and save customers time and money from transportation. 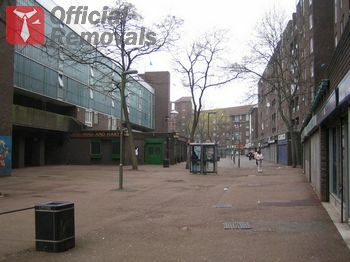 Professional office removals in Grahame Park are our specialty and we know how to do things right.